The VueJS plug-in turns a VueJS editor into a full-fledged VueJS IDE! 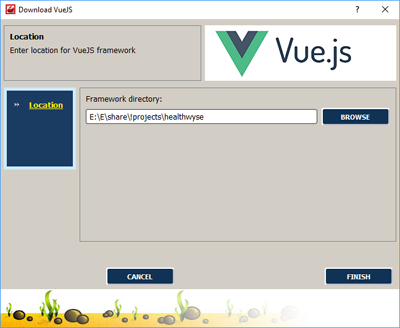 VueJS plug-in gives the ability to download the latest framework version from the original site and install it to the necessary folder using wizard. 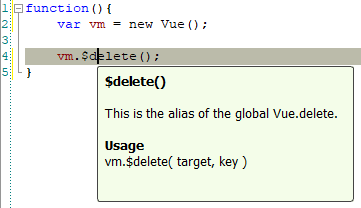 VueJS autocomplete feature enables you to write code faster. Pop-up completion list includes VueJS functions. 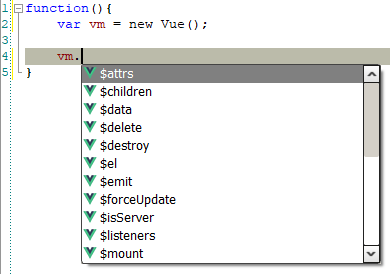 Completion list is called automatically in necessary area of VueJS code. Tooltips feature helps you to write code correctly. It includes descriptions for VueJS functions. Tooltips are shown automatically in necessary area of MeteorJS code. You can quickly obtain necessary information about VueJS syntax using these features. VueJS plug-in searches for proper help information on https://vuejs.org/ site directly. The Dynamic Help window displays links to help topics for an element the pointer is placed on.